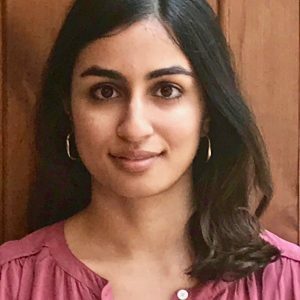 Divya Subramanian is a Ph.D. candidate in the History department working on modern Britain and empire. Her dissertation, "Global Townscape: The Rediscovery of Urban Life in the Late Twentieth Century," examines urban regeneration, aesthetics, and gentrification through the history of the Townscape movement, a British planning movement that emerged in the 1950s. Her dissertation research is supported by Cornell University's Clarence S. Stein Institute for Urban and Landscape Studies. Divya holds a BA from Barnard College and an MA and M.Phil in History from Columbia. Divya teaches in the Columbia history department. Before coming to Columbia, she spent several years working in finance in New York.